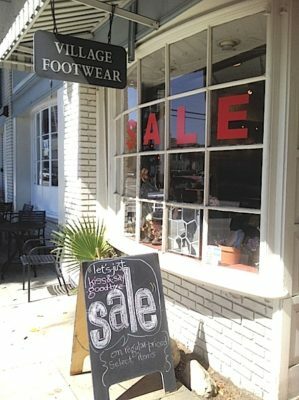 VILLAGE FOOTWEAR was a local favorite. 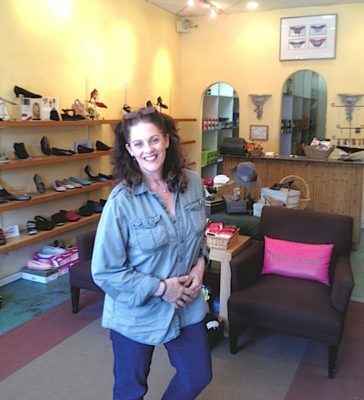 After working at Village Footwear for the past 19 years, Wendy pretty much knows everyone’s shoe size and foot issue. “I’m the ‘shoe whisperer,'” said the store manager, who asked not to use her last name. Customers came from far and wide over the years to find the perfect shoe; one lady brought her friend in from Korea to buy a pair just like hers. Others live in the neighborhood; some walked to the store. Rents were doubled by the Arba Group property management company, and online shopping further helped shutter the doors. Everything was on sale until closing day, expected at the end of July. SHOE WHISPERER and Village Footwear store manager Wendy. Hailing from San Francisco, Mr. Holmes Bakehouse is planned to move into Village Footwear’s place at 248 N. Larchmont. There’s more comings and goings among shops and eateries on Larchmont Blvd. Bluemercury cosmetics and beauty supply company will take over the former Jamba Juice space in the heart of Larchmont Village at 158 N. Larchmont. The Washington, D.C.-based company with 60 stores was acquired by Macy’s last year. Also set to open this month is Sweetfin Poke at 135 N. Larchmont, where Coffee Bean and Tea Leaf poured beverages for decades. It’s the third location (others are in Topanga and Santa Monica) for the popular sushi restaurant. Its ahi bowls’ origins date back to a Hawaiian fisherman’s snack, said co-founder Seth Cohen. Boutique sneaker store Blends Larchmont opened at 141 N. Larchmont last month. Its the sixth store for owners Tak Kato and Mike Toe, who blend international tastes with global level products, according to the website. Leaving the street is Sage Lifestyle jewelry and candle boutique at 128 ½ N. Larchmont. Villagers can expect to see musicians of all ages this fall when Rhodes School of Music moves from its longtime spot in the 600 north block to 215 N. Larchmont above the Burger Lounge. The music school will have more practice rooms, better soundproofing and other beneficial features, says owner David Rhodes. To the north and Larchmont-adjacent, is Au Courant Clothing is at 5555 Melrose Ave. The new store promotes “fashion made fair.” The store’s website explains that how its clothes are made is as important as looking good.